If the base model PA-28 was a trainer for new pilots, then the PA-28R was the transition for pilots to complex aircraft. Airplane manufacturers often find that one of their designs “sticks” to pilots, and they take that winning design and modify it, continually improving on the original design over decades of production. For Piper Aircraft, the PA-28 was it. Piper introduced the PA-28 Cherokee in 1961 as a cheaper alternative to their PA-24 Comanche, and to compete with the Cessna 172. It was slightly smaller than the Comanche but with the same concept – a low-wing, single-engine plane perfect for use as both training aircraft and personal commuters, capable of seating four. The original PA-28 design quickly spawned many variants throughout the 1960s, including adaptation to a multi-engine. One of these variations was the Piper PA-28R Arrow. If the base model PA-28 was a trainer for new pilots, then the PA-28R was the transition for pilots to complex aircraft. The 1967 Piper PA-28R-180 Arrow was fitted with a fuel-injected Lycoming IO-360-B1E engine, retractable gear, and a variable-pitch constant speed propeller. Two years later this aircraft would receive a little extra horsepower with the PA-28R-200, adding one hundred pounds to the maximum gross weight. The Piper Arrow wouldn’t get any more horses for the rest of its lifespan (so far) but there’s more to upgrades than engines. 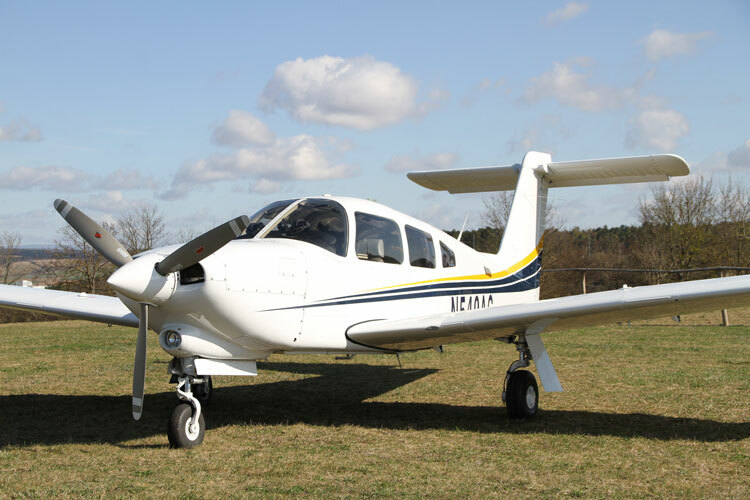 The Piper Arrow II came out in 1972 with a little bit of a stretch on the original Arrow – the fuselage was extended five inches, adding some extra legroom for the rear passengers. The flight control surfaces were also expanded with both an increased wingspan and larger horizontal stabilizer. The wings received one more large revision with the Piper Arrow III in 1977. Up to this point, all Arrows had a constant-chord wing. The Arrow III’s wing had a constant chord until mid-span, and then the leading edge swept slightly aft towards the wingtip. It’s a change that isn’t very noticeable unless you’re looking for it but it does allow for more aileron authority during stalls. And inside the wings, the fuel tanks were increased from 50 gallons to 72 gallons. This redesigned Piper Arrow was designated the PA-28R-201. The Arrow III also marked the first model that was available with a turbocharged option, sporting a six-cylinder Continental TSIO-360-F engine (designated the PA-28R-201T). The turbocharged model increased the gross weight by 150 pounds. Only two years passed before one more structural change – this time to the tail. In 1979, Piper decided to give the Arrow a T-tail like other Pipers at the time had. 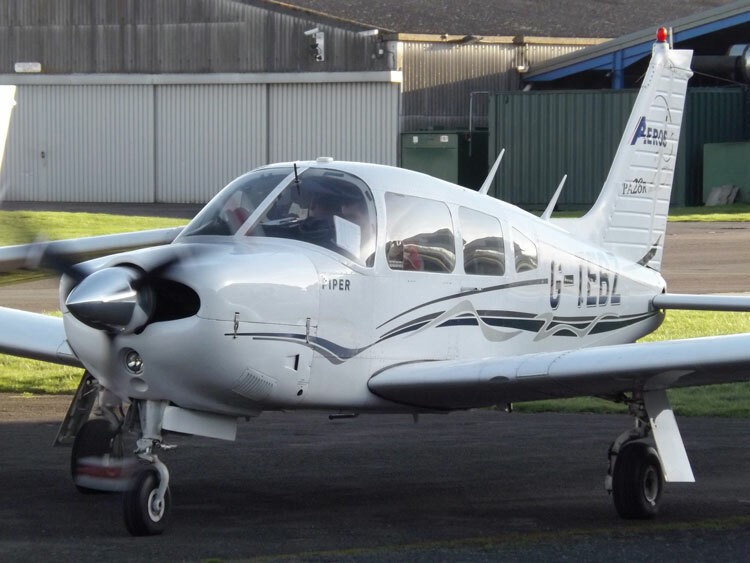 This Piper Arrow IV, the PA-28RT-201 & -201T, only lasted three years. The Arrow design eventually reverted back to the conventional empennage due to less than ideal flight control characteristics, especially at low speeds. While most comparable aircraft at the time had manual gear extensions, the landing gear on the Piper Arrow was operated electromechanically via a simple cockpit lever. What made the Arrow stand apart even more was its automatic gear extension system. It happens all too often – pilots landing with the gear in the well. Because the Arrow was designed as a transition aircraft for new pilots operating complex airplanes, Piper figured this might happen too often in the Arrow. Engineers devised a system that would automatically lower the gear when airspeed decreased past 91 knots and manifold pressure decreased into power regimes you might find on final approach. This same system also prevented the pilot from raising the gear until the airplane was climbing away from the ground at a safe rate of climb. This became a major selling point based on insurance requirements for complex aircraft – many underwriters offered lower rates thanks to this system. There’s really nothing too exceptional about flying the Piper Arrow. However, because of the large variations in flight control surfaces between the Arrow, Arrow II, and Arrow III, pilots really need to be conscious of which model they’re sitting in. The original Piper Arrow, with its small wings, requires more care while landing at slow airspeeds. The flare may not produce enough lift and the aircraft may fall right through ground effect and pancake onto the runway. The smaller stabilator may also produce some unwanted characteristics when loaded at longitudinal CG limits. The larger stabilator of the Piper Arrow II can cause many pilots to overcontrol the aircraft, especially pilots coming from airplanes with conventional horizontal stabilizers with an elevator configuration. The entire horizontal surface of the Arrow moves. It does have an anti-servo tab to provide control feedback. Critical approach speeds changed with the introduction of the tapered wing in the Arrow III. Previously, pilots would be concerned with coming in too slow and sinking right through ground effect. With this new design, pilots coming in too hot will find themselves floating down the runway, unable to touch the gear to the pavement. If a pilot tries to “force” the plane onto the runway with forward control stick movement, the nosewheel will make contact with the ground while the wings remain in ground effect, keeping the main gear off the runway. This can produce a very unsafe roll down the runway and is called “wheelbarrowing”. You know how unstable wheelbarrows are! And on the subject of touching the nosewheel to the runway while landing. Piper Arrow pilots need to be particularly careful during crosswind landings. The nosewheel is attached to the rudder. Move the rudder pedals and the nosewheel moves as well. So when landing in a sideslip with any kind of rudder input, the nosewheel can touch the ground off-center, putting considerable strain on the nosegear and/or even introducing a dangerous ground loop. Arrow pilots are taught to avoid this technique while landing. Other than these attributes, flying the Piper Arrow is a relatively benign experience with the same flight characteristics as all other PA-28s. As far as taking your friends and family out for a spin, you’ll find the Piper Arrow more than adequate. It isn’t necessarily fast and it burns more fuel than comparable aircraft, but it does make up for this in cabin space and loading capability. A full load of fuel will give you an endurance of over six hours with typical cruising speeds of 130-135 knots, leaving 480 pounds for passengers and cargo. The cockpit is spacious and pilots won’t find themselves accidentally bumping controls & switches as they move around. Rear cockpit passengers will particularly enjoy the generous legroom of the Arrow II and extra view afforded by the third window added to the later models. Arrows are certified in the normal category and also for IFR flight if outfitted with the necessary avionics. Arrows currently coming out of the factory are equipped with the Garmin G500 avionics suite. The Arrow was one of the few designs that survived Piper’s bankruptcy. When The New Piper Aircraft emerged in the mid-1990s, the Arrow held its place among Piper’s lineup in the form of the Arrow III. It’s marketed as a complex trainer though many pilots still favor it as a personal commuter for its low costs. Almost 7,000 Arrows have come off the production line since 1967 and are still coming out of the factory today.